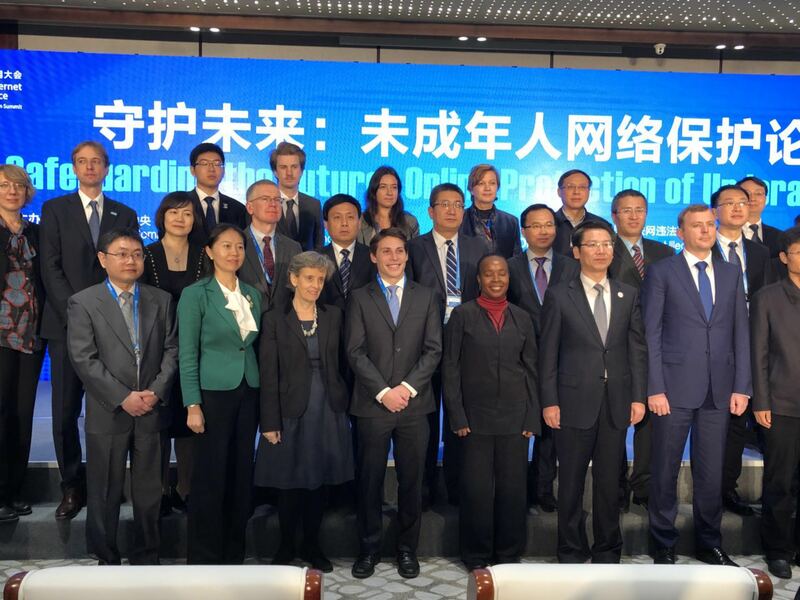 Wuzhen (China), 4 December 2017 - At the 4th World Internet Conference held in Wuzhen, China, SRSG Santos Pais took centre-stage to bring attention to the critical role of legislation in preventing and combating children’s online abuse and exploitation drawing on international experience. “In a field where technology advances very rapidly it is critical to keep legislative measures under constant review to address emerging concerns. But it is also crucial to supplement laws with effective enforcement and other measures such as awareness-raising, education, and capacity-building initiatives to prevent violence against children online” Santos Pais stressed. “Legislation is indispensable to guide action including by regulating the responsibilities of state authorities, corporations and other actors on the safeguarding of children’s rights, and by ensuring the protection of child victims. But it must avoid the risk of children being inadvertently stigmatized or criminalized” said Santos Pais. SRSG Santos Pais also emphasized the importance of international cooperation to protect children from online exploitation. In her statement, the SRSG highlighted the issue of cyberbullying, “A single act of online bullying can rapidly reach a limitless number of people. And it may be difficult to identify those responsible for such acts, as they may be acting online anonymously. Victims need to access a justice system that is truly child-friendly and provides services for their healing, recovery and reintegration” she said. China is now home to about 750 million netizens and has the world's second-largest digital economy. With greater investment placed on effective legislation to protect children from online violence that keeps-up with the rapid technology advances, the country can become a reference in the region and globally.